Complete our online order form! Forget chocolates that melt in the heat or heart-shaped pink jellybeans! 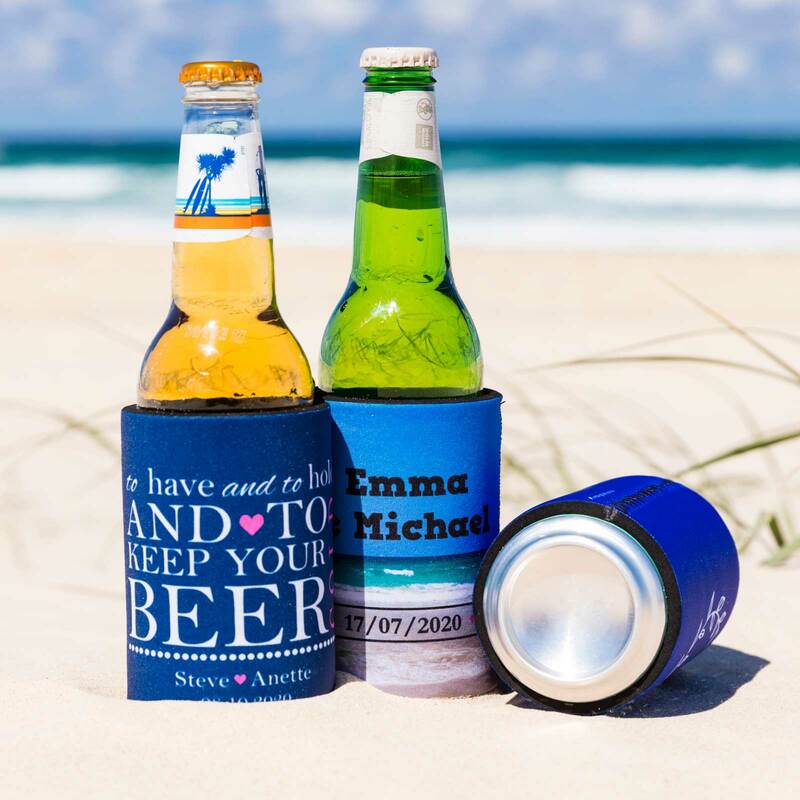 Why not have stubby holders as bonbonniere for your special day to say thanks to your family and friends for helping you celebrate? Our high-quality Australian made personalised stubby holders are sure to last for years and won’t be left on the table. 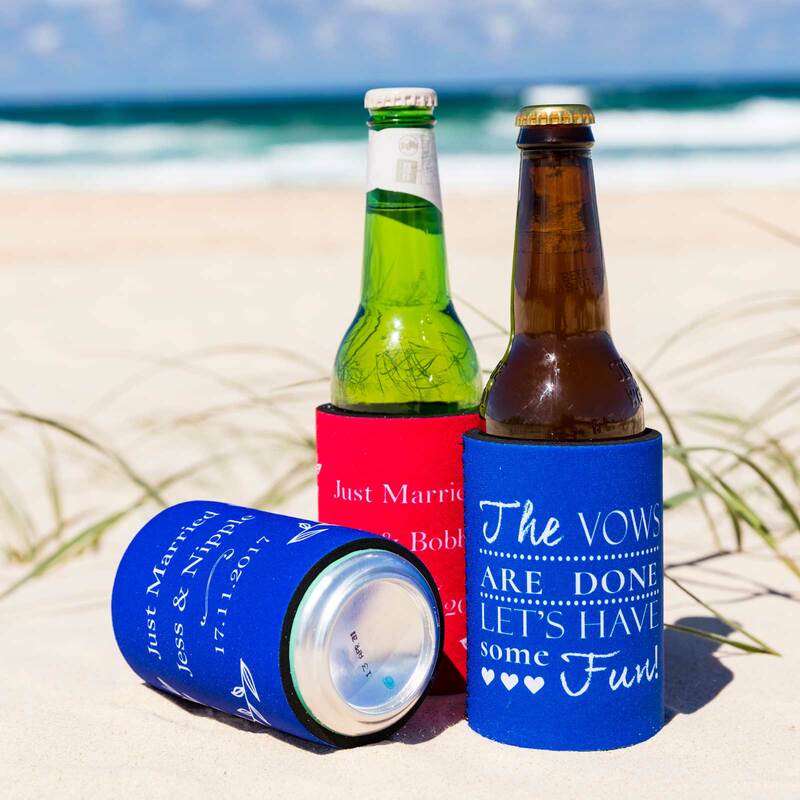 Stubby holders are one of the best promotional products so why not have them at your wedding? Our wide range of stubby holder types, material colours, over 400 print colours, unique designs, advanced single & full-colour printing techniques and FAST DELIVERY are sure to suit everybody’s need. We hope this site will provide you with as much information as possible on our wide range of designs and stubby holders. Feel free to contact us with any query you may have. Our personalised wedding stubby holders are sure to last for years and won’t be left on the table.